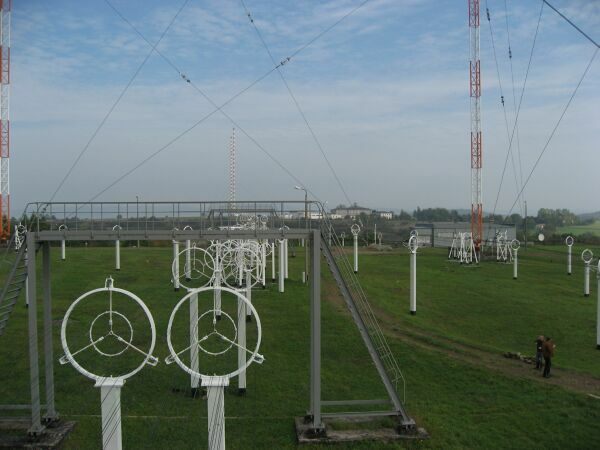 directional antenna, consisting of two masts of tube (each 143 m high) insulated at the base. 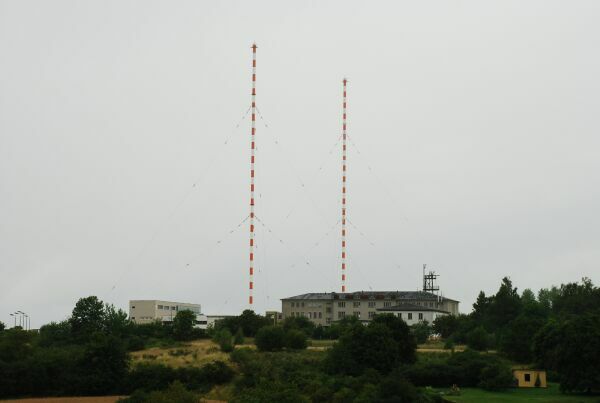 The two masts seen from a greater distance. 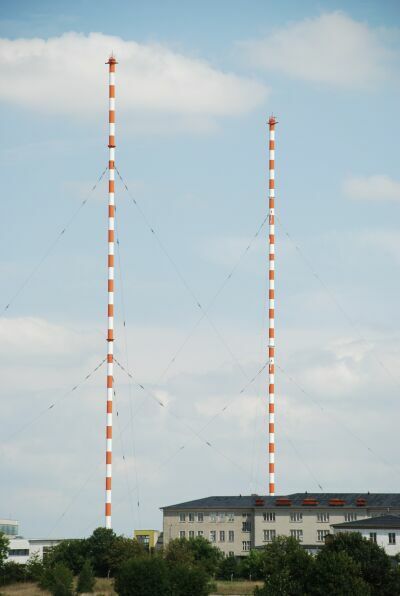 The two masts seen from a shorter distance. 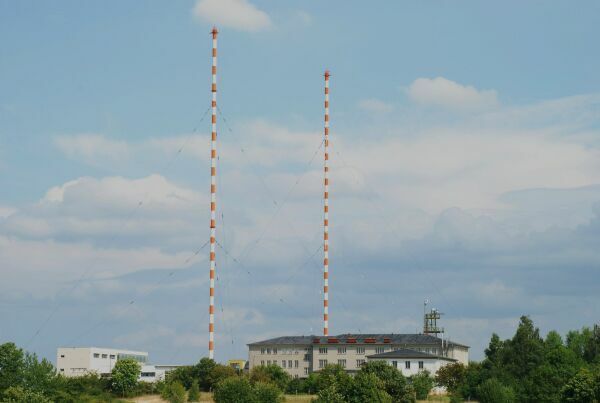 This photo was taken on the site of the antenna with four masts which is also located in Wachenbrunn.